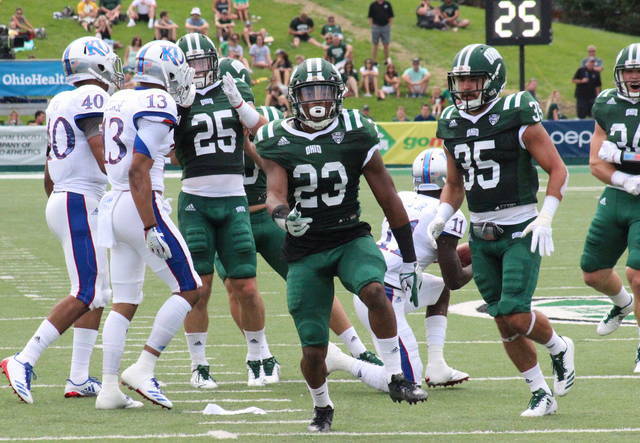 ATHENS, Ohio — The Ohio University football team improved to 2-1, defeating the Big 12 Conference’s Kansas Jayhawks by a 42-30 count on Saturday at Peden Stadium. 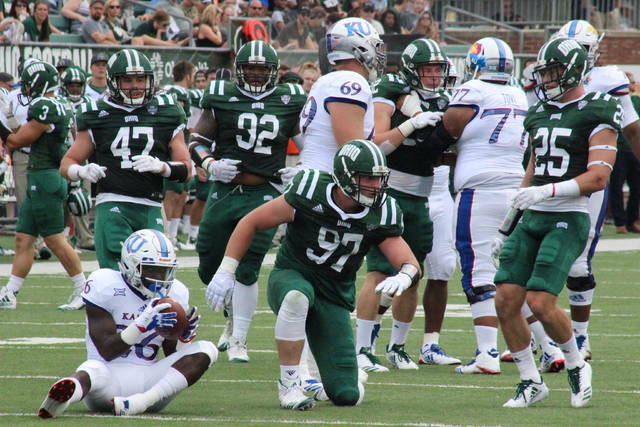 Kansas falls to 1-2 with the setback, dropping back-to-back games to Mid-American Conference teams. 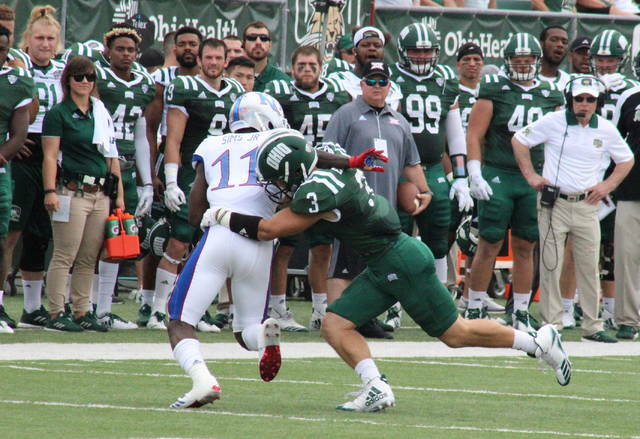 The Jayhawks scored 16 points over the final 15 minutes on Saturday, but Ohio held on for the 12-point victory. 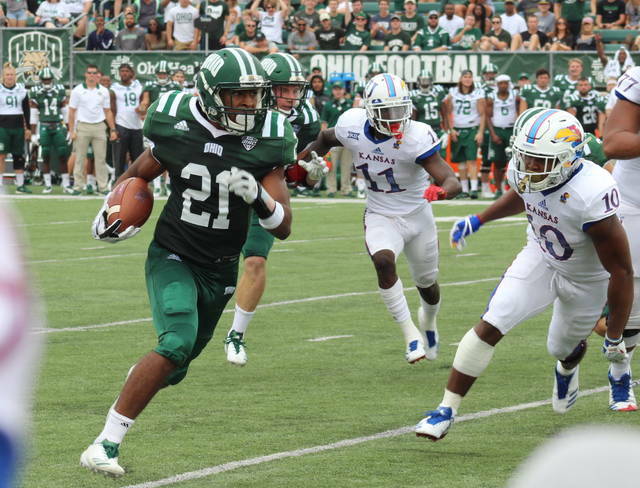 The Jayhawks held a 23-to-21 advantage in first downs and a 451-to-450 edge in total offense, but OU won the time of possession battle by over 5:00. Each team committed a turnover and both were penalized seven times. 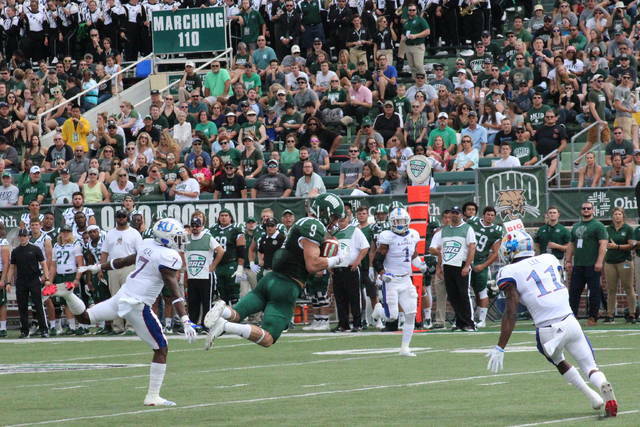 Ohio is now 3-0 against KU all-time, and Bobcats’ head coach Frank Solich is now 8-0 versus the Jayhawks. 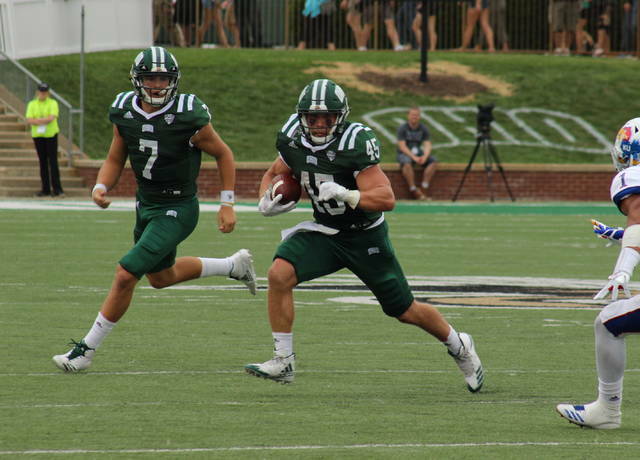 A complete recap of Ohio’s win over Kansas will be appear in Tuesday’s publications of The Daily Sentinel, Gallipolis Daily Tribune, and Point Pleasant Register.